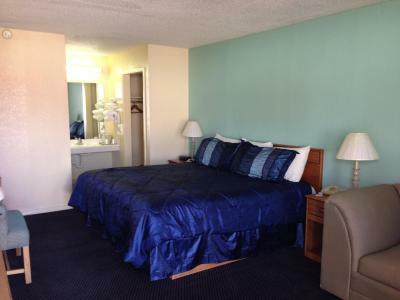 The room was adequate, the bed was comfortable and I was really happy that the mini fridge worked! The Owner/Operator was really nice and helpful. I will definitely stay here again when I come back to Siloam Springs! Beds where made nice. Everything was clean. Staff was nice. The price was affordable. But, we won't be staying again. 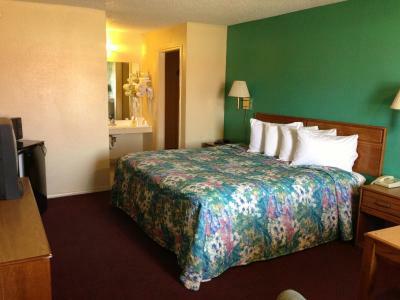 The room was clean with a very comfortable bed. The television was nice and had a good clear picture There was a café next door that had very good food at a reasonable price. The staff were very friendly to us and we will be staying there again next year for the motorcycle rally in Fayetteville. For the price, it met our expectations!! Nothing, the place should be closed by the health department. Staff was very helpful. We needed an extra chair and they provided it. 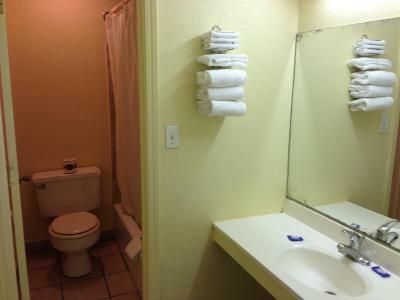 Super 7 Inn-Siloam Springs This rating is a reflection of how the property compares to the industry standard when it comes to price, facilities and services available. It's based on a self-evaluation by the property. Use this rating to help choose your stay! 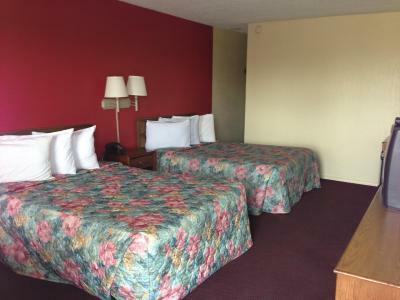 Located in downtown Siloam Springs, Arkansas, on Highway 412, this hotel is next door to the Arkansas Tourist Information Center. The hotel offers free Wi-Fi access. 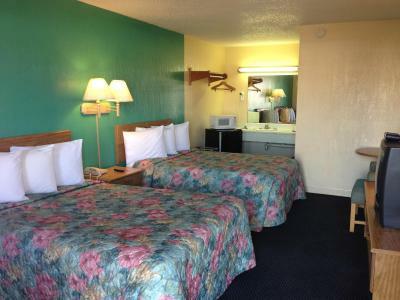 Cable TV is available in all rooms at the Super 7 Inn. 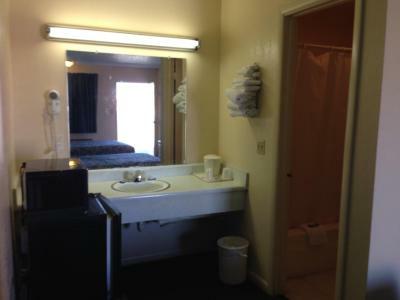 They are also equipped with a microwave and a refrigerator and include helpful amenities like an iron and a hairdryer. 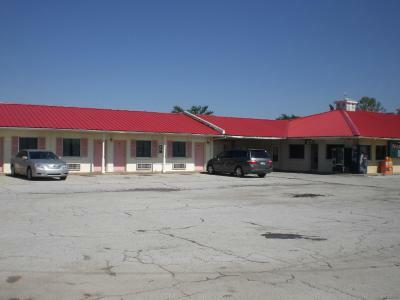 The front desk at Super 7 Inn is staffed 24 hours a day. The entire hotel is air-conditioned. Siloam Springs Golf Course is a 4-minute drive from the hotel. John Brown University is 3.4 miles away. 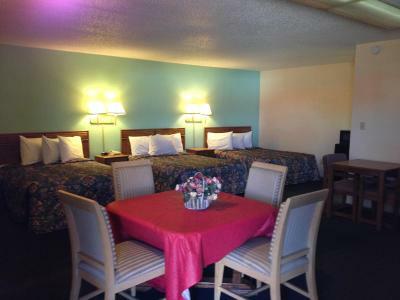 When would you like to stay at Super 7 Inn-Siloam Springs? A cable TV is provided in this room. It is fitted with a microwave and refrigerator. Suite has sitting area with sofa. 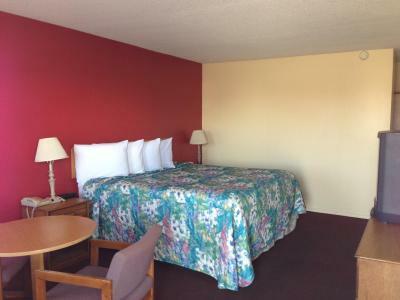 House Rules Super 7 Inn-Siloam Springs takes special requests – add in the next step! Any additional older children or adults are charged USD 3 per person per night when using existing beds. 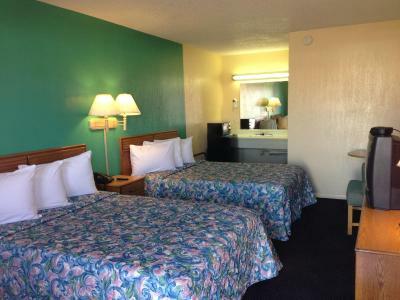 Super 7 Inn-Siloam Springs accepts these cards and reserves the right to temporarily hold an amount prior to arrival. Repeatedly stated in stern voice "NO PETS" when checking in even though I told her every time that we didn't have a pet. Rooms smelled stale. Had to change rooms because the 1st room had ants in the lavatory in the morning after our first night.We didn't like not having our pet with us. We will stay in a pet-friendly hotel next time. People are nicer around pets. 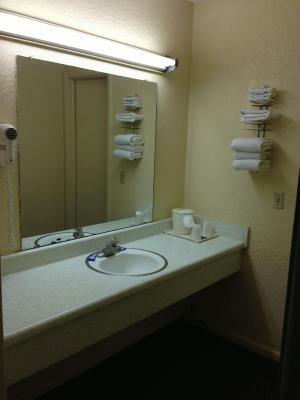 We will also stay where there is a continental breakfast even though they aren't always fresh and good. 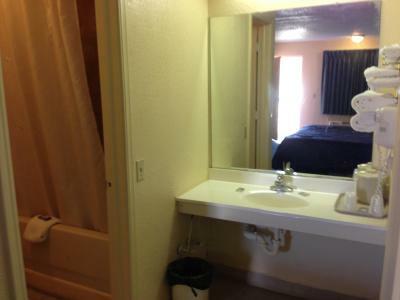 The rooms smelled stale even after we Febrezed every day.